Selebi-Phikwe (also spelt Selibe Phikwe) is a mining town located in the Central District of Botswana. It had a population of 49,849 in 2001 which is now estimated to have risen to c.52000. The town is an administrative district, separate from the surrounding Central District. Nickel mining commenced in 1973 and has been the main activity since. The complex includes a mine and a smelter. All operations are now deep mining. Originally there were two tiny places called Selebi and Phikwe, which straddled a large undiscovered deposit of copper and nickel in the area. When the mineral wealth of the area was discovered in the 1960s a mine and a township were built in the woodland between the places with the combined name of Selebi-Phikwe. The main source of employment is the Bamangwato Concessions Ltd. (BCL) mine which excavates and smelts mixed copper-nickel ore from several shafts in deep and opencast mines. The opencast pit is now unused. Ore is transported from the shaft by rail for smelting. The locomotives used are steam-powered, having been bought from National Railways of Zimbabwe (NRZ) and South African Railways (SAR). BCL only intended to stay in operation until 2010 and more recently 2013. The nickel price, at a high in April 2008, justified further exploration and it is now expected that mining operations will continue to 2020 and perhaps beyond. It is not clear if new shafts will be opened, but the present shafts will be exhausted in a few years' time. The mine used to, and may still, have the longest cable-belt system in the Southern Hemisphere. The Botswana Prison Service (BPS) operates the Selebi-Phikwe Prison. A small coal fired power station was built along with the mine, to meet the electricity needs of the mining operation and the surrounding area. Until the late 1980s, this was the only power station in Botswana. It was closed down some years ago when the Morupule Power Station began to produce power. Most of the electricity demand was met by importing electricity from South Africa. In the current situation of 'rationing' by the South African power supplier Eskom, Botswana suffers from power shortages. 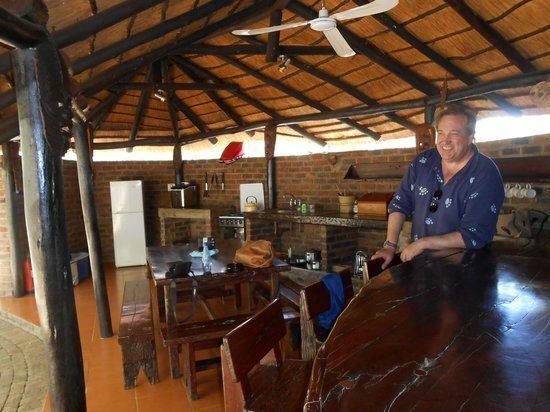 The town itself has a principal shopping mall, four in-town hotels (Hotel Stonehouse, Bosele, Syringa Lodge and Travel Inn), several guest houses and a number of serviced apartments complexes. 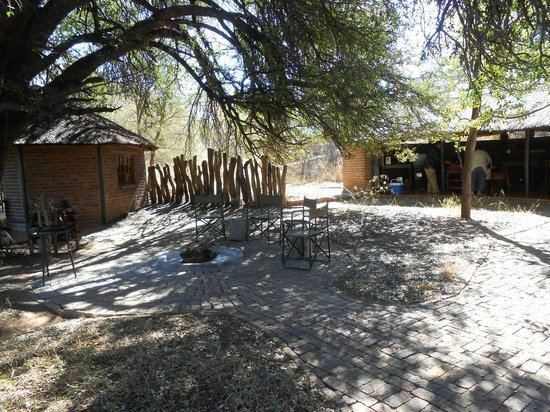 The Phokoje Bush Lodge, about 7 kilometres from town, is a popular hotel and offers the best restaurant in the area. The town has a small airport which only operates during daylight hours but does not have refuelling facilities. It has a technical college for artisan level training. A College of Applied Arts & Technology was planned but is expected to be cancelled. The town is on a tourist route from South Africa to the popular destinations of Okavango and Chobe. There is significant potential for birdwatching and fishing (bass and bream are well established but are not indigenous) at the Letsibogo Dam but, unfortunately, it is difficult to gain access to the dam due to rough terrain or to camp on the shore. An experimental population of Tigerfish (indigenous to the Limpopo basin) was introduced during 2009 which has proven that the environment would be suitable. The introduced population is thought to be insufficient for breeding. There are some local camp sites a few kilometers away from the dam. The water and wildlife at Letsibogo do not appear to have been negatively impacted by the pollution from BCL. It is possible that there is a major tourism opportunity to develop the Letsibogo site, but this would require some preliminary public sector investment in access and other infrastructure. 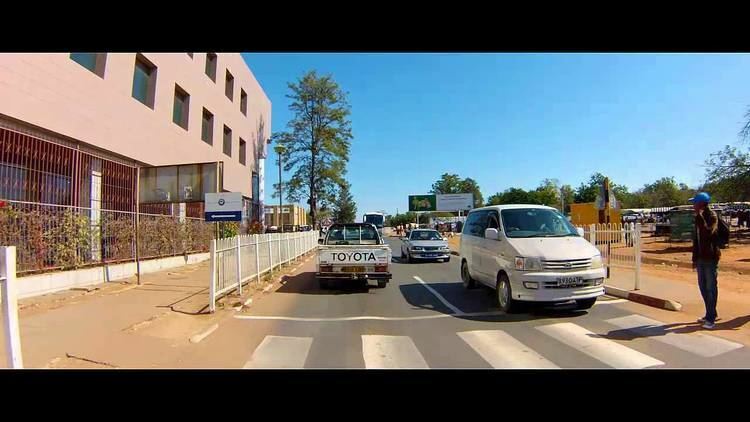 Selebi Phikwe hosts the biggest marathon in Botswana, the Phikwe Marathon which was started in by Two Wise Men, the late Boet Kahts and Phill Roberts who was a teacher at Selebi Phikwe Senior Secondary School started the Phikwe Marathon in 1985 as a gesture of Community Service. The Marathon is classified as one of the best in the world by the International Association of Athletics Federations (IAAF). A report for SPEDU (Selebi Phikwe Economic Development), a local Regional Development Agency,suggested that there is significant potential for expansion of the marathon and also to apply the skills and experience gained by running that event for other events such as cross country cycling and quad biking and for bass fishing competitions at the Letsibogo Dam. The latter site also offers potential for bird watching and sailing if the infrastructure mentioned above were to be established.